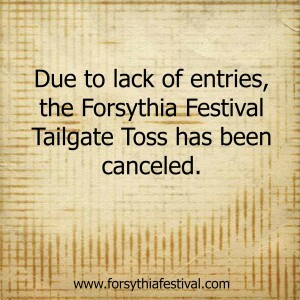 Due to lack of entries, the Tailgate Toss has been canceled. Copyright ©2018 Forsyth-Monroe County Chamber of Commerce. All Rights Reserved.